*Fat Joe has been “officially cleared” over allegations he sexually assaulted a woman following a June 10 concert in Madison, Wisconsin. The rapper was detained after a woman complained she was inappropriately groped by the star and his entourage during a post-gig limo ride. Fat Joe was questioned by police and later released without charge, and now the rap star’s attorney Dawn Florio has revealed that he and his associates have been cleared of any wrong doing. 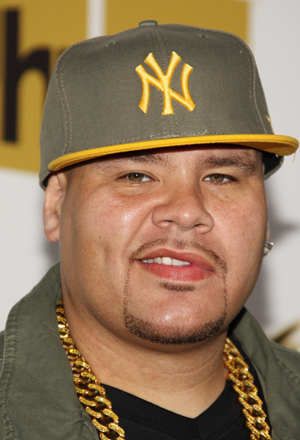 “Joseph Cartagena, known as Fat Joe, and others have been officially cleared by the Madison Wisconsin Police Department of any wrongdoing,” the statement read. “Fat Joe had no contact with, and never spoke to his accuser. He was questioned for a few minutes at his hotel room and was never detained by the police. Com’on, we all know that there was some groping going on. That’s what they do in limos. What you think all that tint and space at the back is about? She knew that was going to happen the minute she stepped in that car. But should she be charged with extortion? Nah. They need to drop it and warn her against wasting police investigating time. And as for the “groper”, he was just engaging in what he thought at the time was normal behavior for that situation.